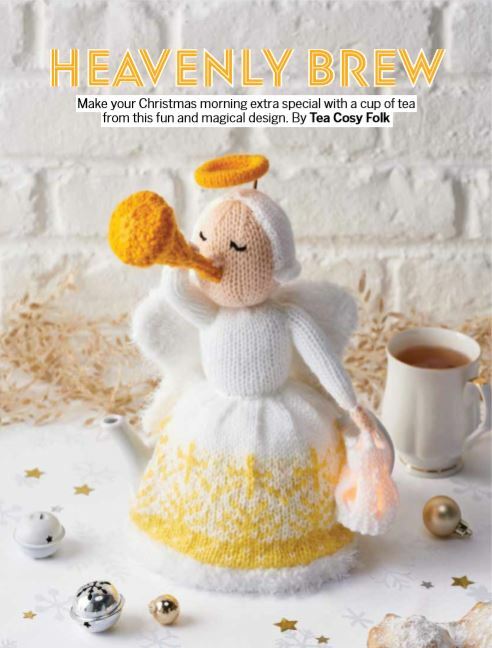 The Heavenly Brew tea cosy was designed for the Simply Knitting Magazine issue 179 which went on sale on the 25th of October 2018. 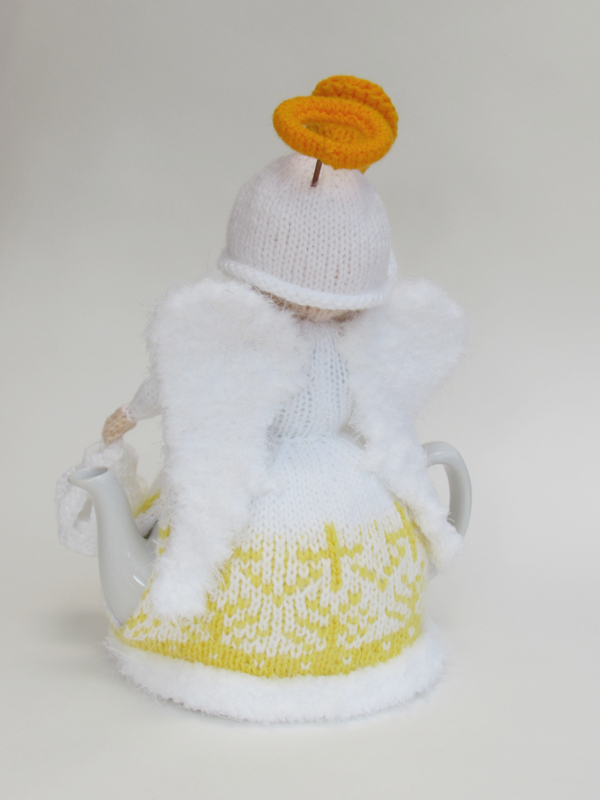 I was asked to design a Christmas angel tea cosy which I was thrilled about, I loved the idea of a tea cosy which harked back to the nativity. 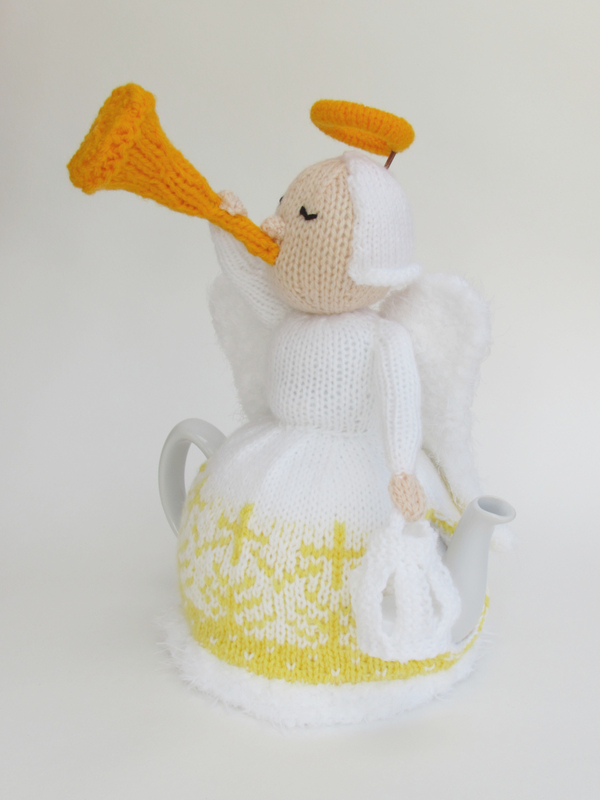 My angel was going to be a bringer of good tidings, trumpeting the good news and lighting the way. 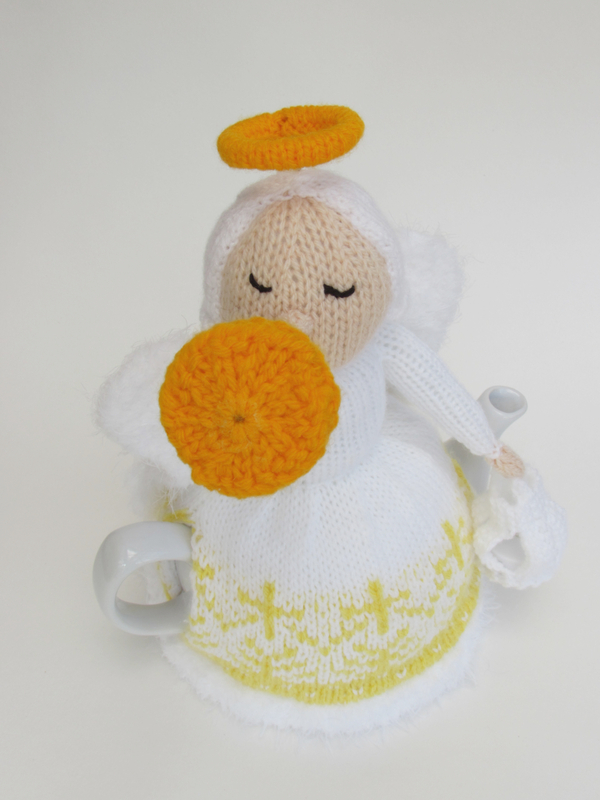 I made the angel white as I expect most people imagine heavenly bodies to be white, but I wanted to introduce some yellow tones to make it glow, and to make it look precious. 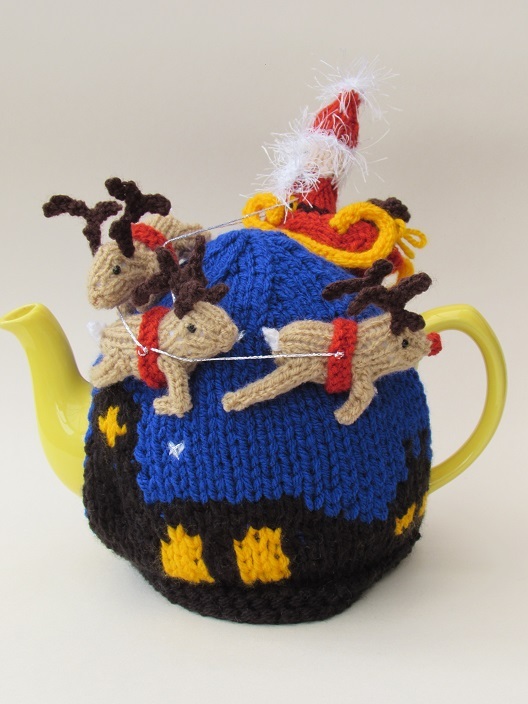 So I designed a fair isle pattern that looked both Christmassy with a twang of religious symbolism. 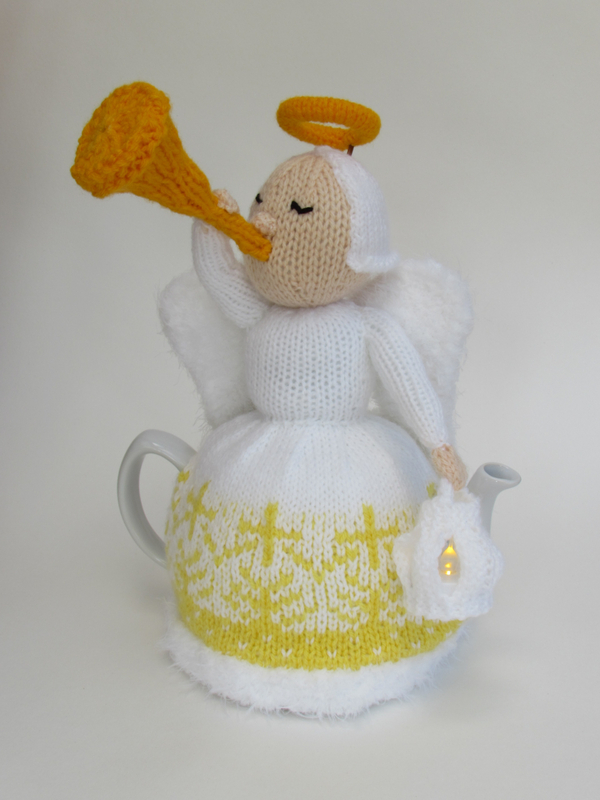 I think the angels skirt looks a bit like a christmas tree and on the top is a cross. 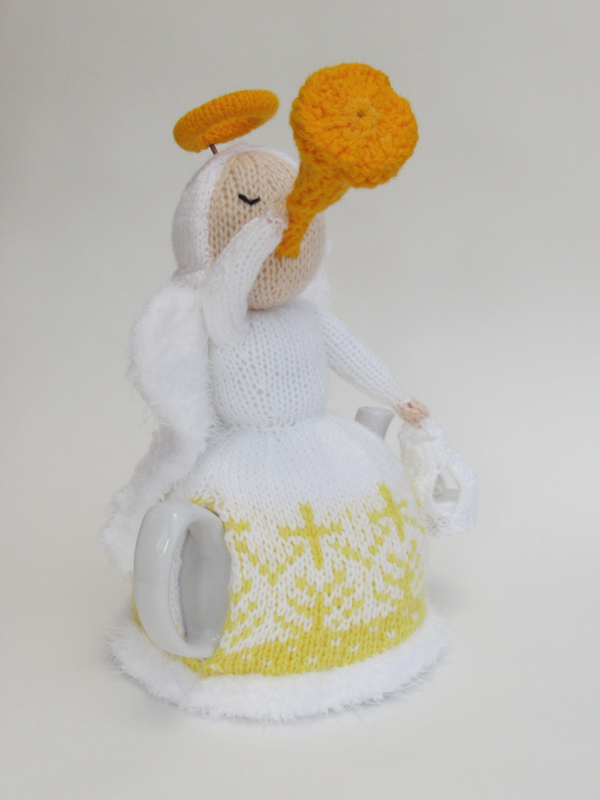 The wings are knitted in the same fluffy yarn that the dress is trimmed with to give a feathery feel. 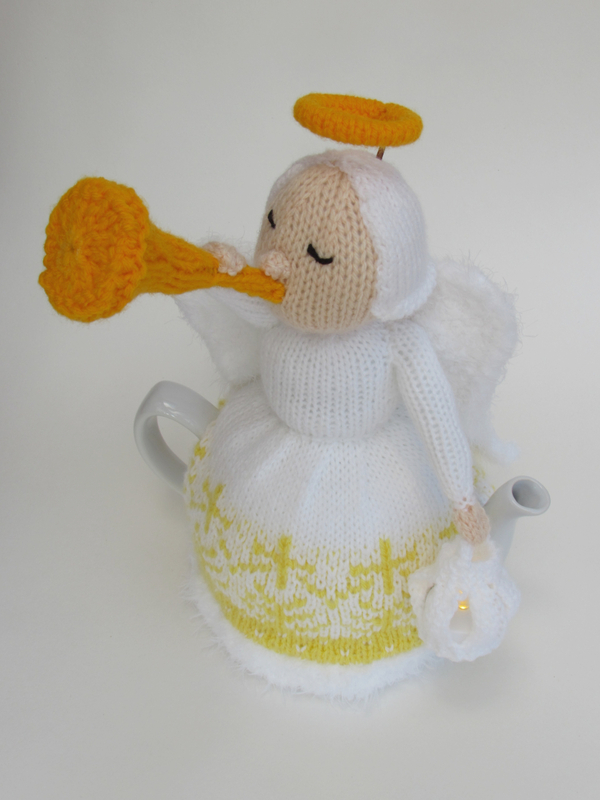 The wings are knitted quite tightly on a small needle to stiffen them so that they are self supporting. 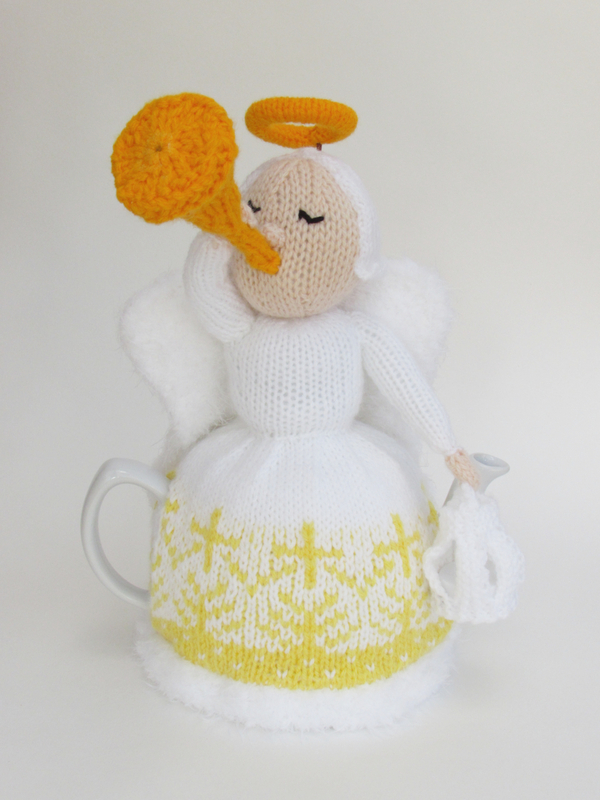 The angel is blowing a trumpet or bugle and you often see them depicted on Christmas cards. 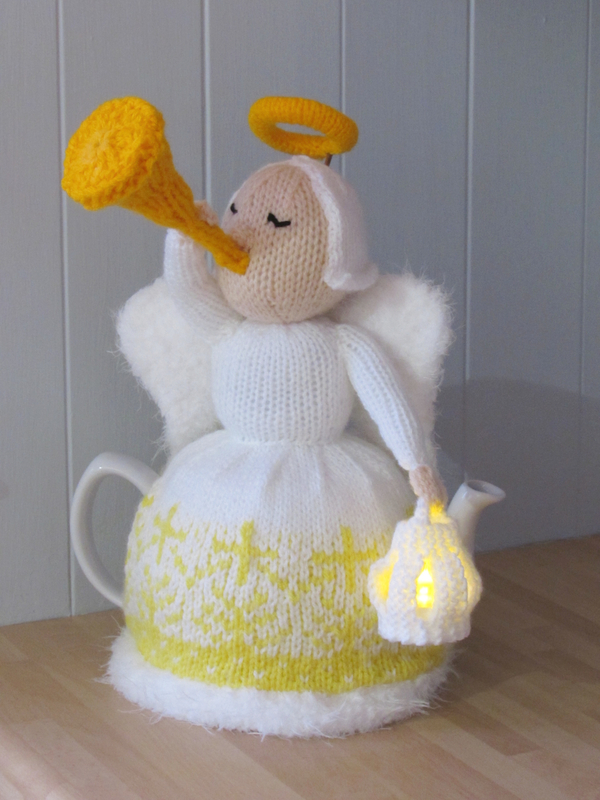 I love lights at Christmas time, they make everything feel special and adds to the festive feel. 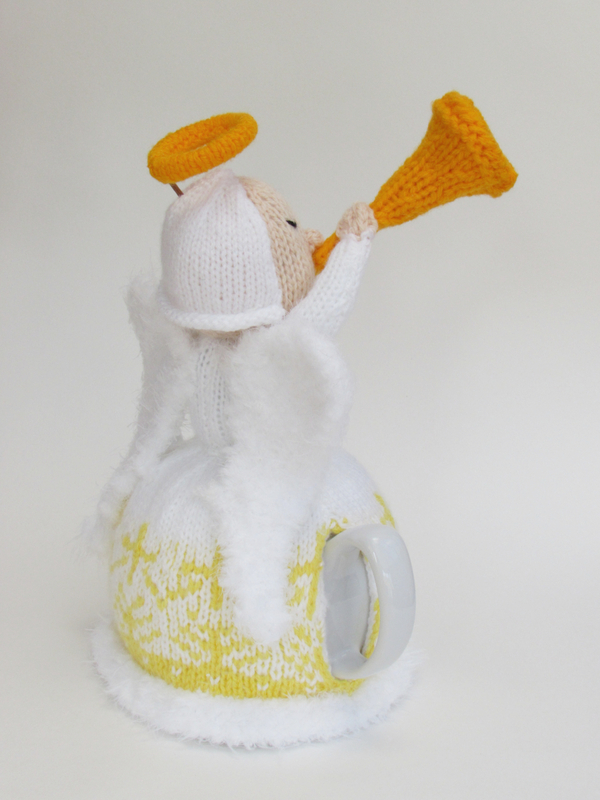 I have given the angel a light up lantern to hold. 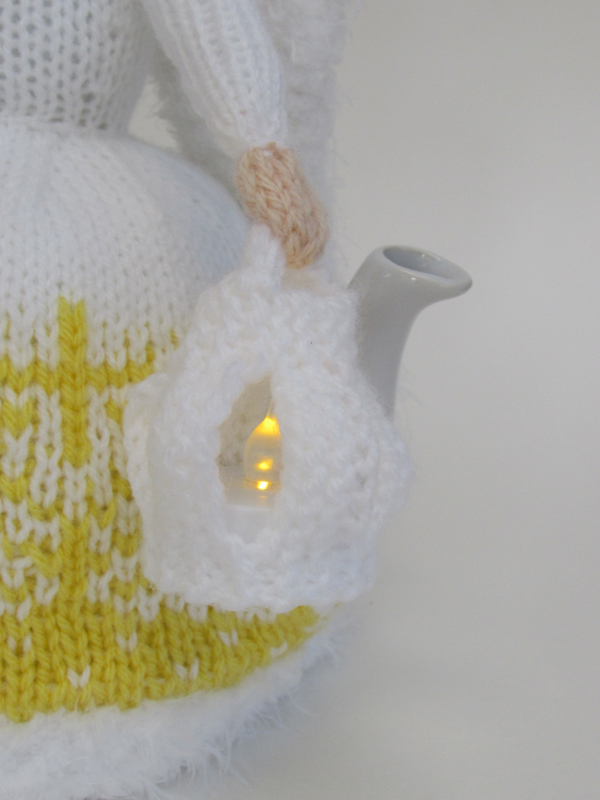 It's made with a battery powered tea light candle and it makes the tea cosy feel really special and gives a warm glow, perfect for dark winter tea times. 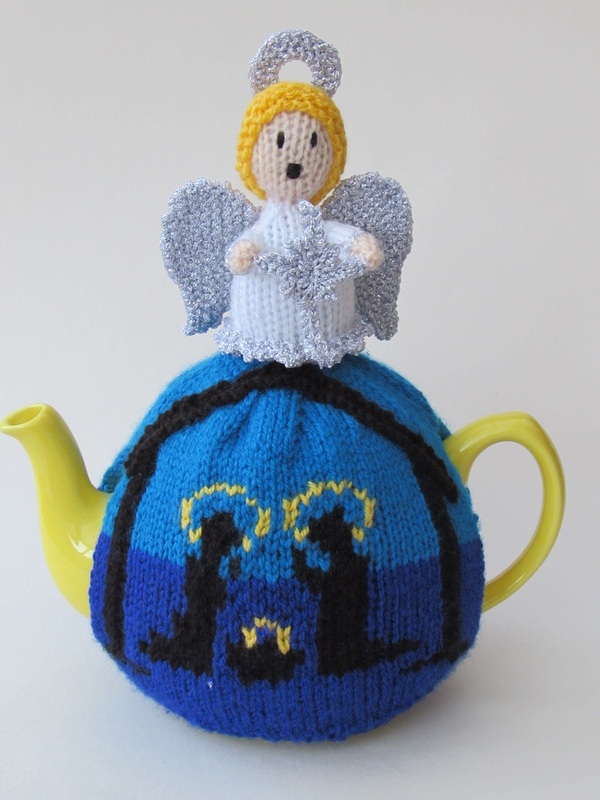 I think the Heavenly Brew Christmas Angel tea cosy is adorable and makes a nice change from the usual Christmas tea cosies of Santa and Rudolph. 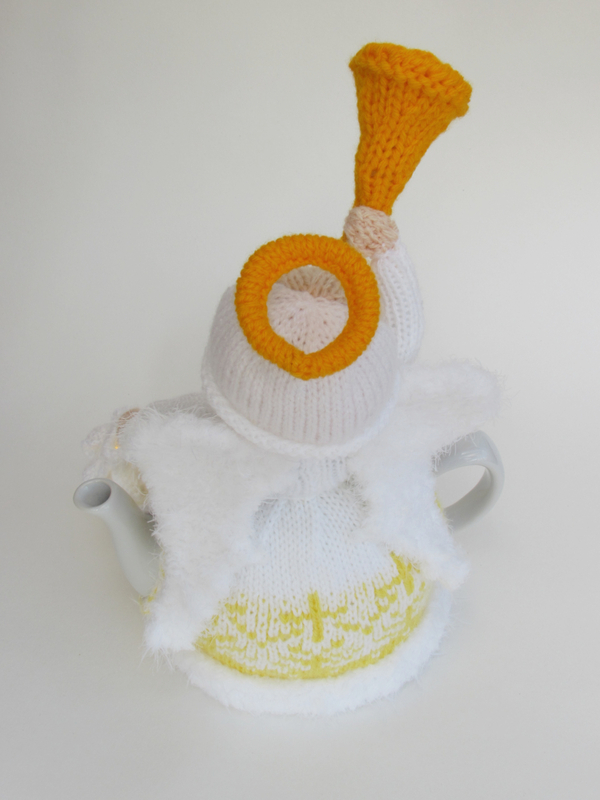 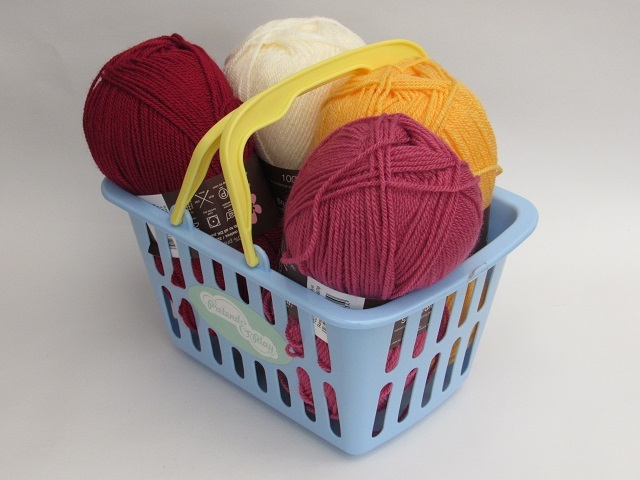 This tea cosy is knitted with Sirdar, Hayfield Bonus DK and Sirdar Touch Eskimo. 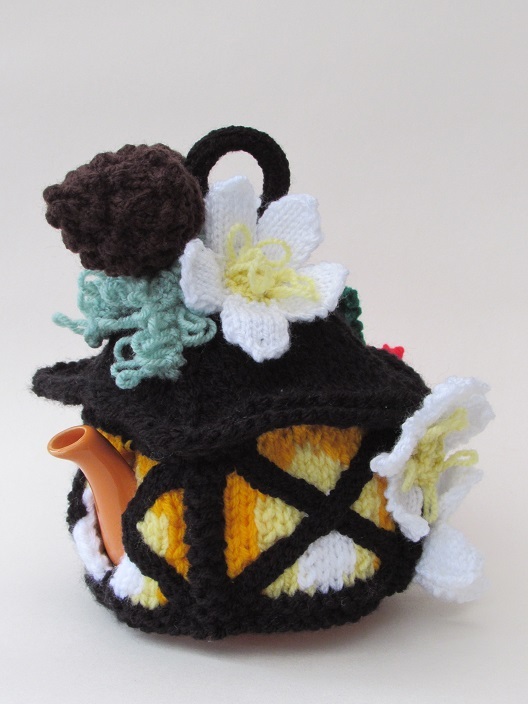 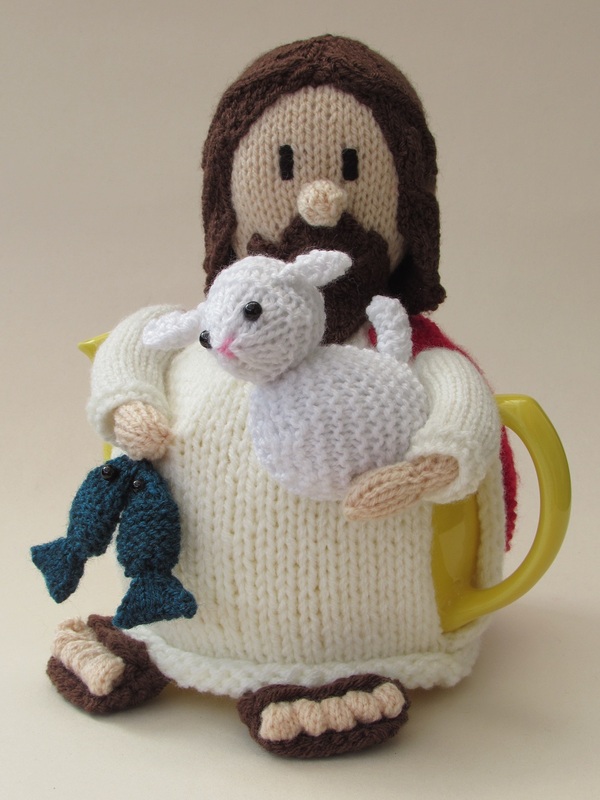 The Heavenly Brew tea cosy knitting pattern will be available to buy from the TeaCosyFolk website from the 25th May 2019, in the meanwhile you can buy past copies of Simply Knitting if you missed the pattern when it was first published. 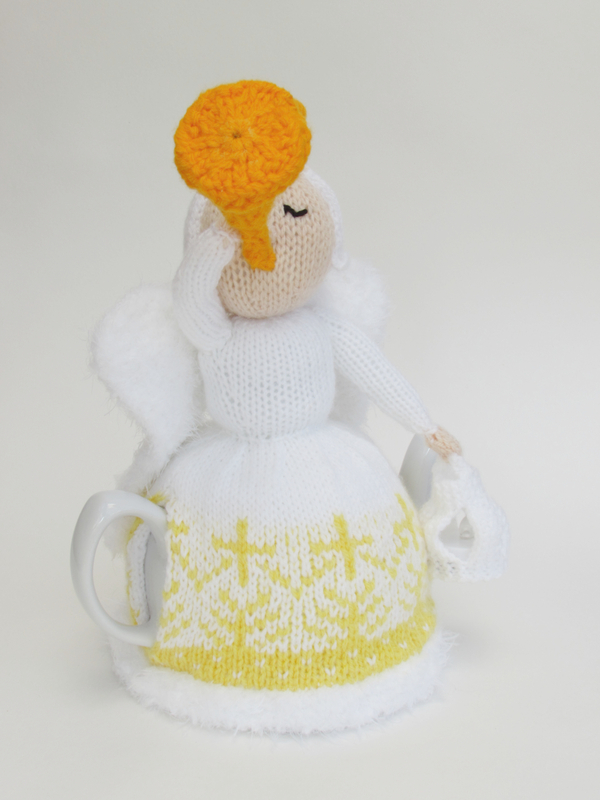 The angel of the lord came down and hot tea flowed all around.